The black spray-paint letters were scribbled on cardboard held up by electric fence posts. A high-school track athlete, running late for the bus like always, I slowed my cheap school car and sat in my red and white sleeveless uniform and stared at the signs that dotted our country driveway. It was only after a minute that I could compose myself to touch the gas pedal, feeling a different kind of weight than pressure to run fast: the pressure of a hug without arms. My mom is the hugger, giving gifts, always telling us she loves us, but my dad–a German Lutheran farmer–loves differently. At my grandpa’s funeral one of the men on the council said to me, “Your dad doesn’t say much, but when he does, we listen.” So when my dad took the time to nail up those signs along driveway, it was like a wrung to hold onto, a concrete for the untouchable. His quiet love sat there shouting. Sometimes love is expressed from a distance. God’s love can feel like that, like it’s removed from our daily, off somewhere on a cloud, but Jesus comes–physical, alive, breathing, sweating, crying, living, dying–to be WITH US on a Night that was nothing but Silent. Christmas, like my dad’s track signs, should slow our cheap school cars down as we marvel at a love so showy, so on display, so concrete–the ultimate wrung to hold onto. 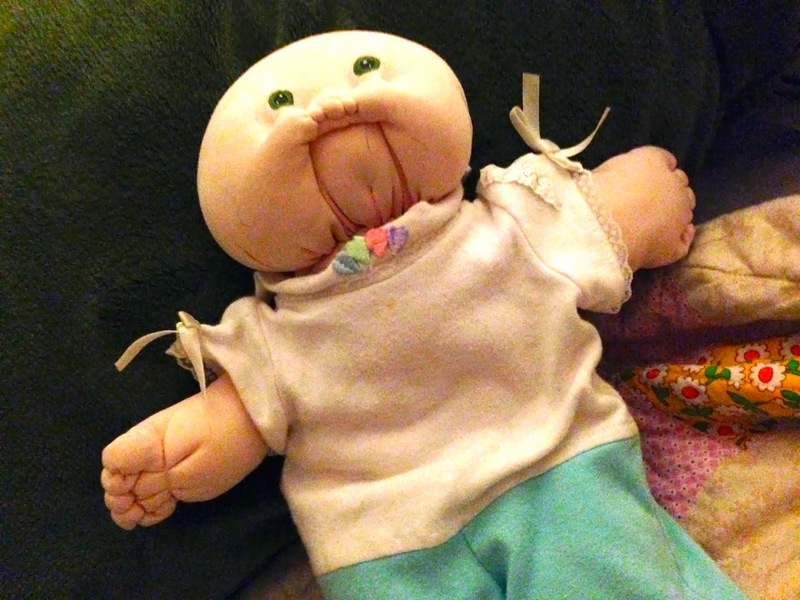 My favorite Christmas toy is a hand-sewn Cabbage Patch Doll. As a kid, I used to get mad when people called Elizabeth ugly, but even my own daughter looked at her, threw her on the ground, and went to grab a book. I guess I was holding out hope that my own child might understand, but I can see now what I couldn’t see through my pink-rimmed elementary school glasses: Elizabeth’s unfortunate under bite, her weirdly dis-proportionate body, and her eyes that seem to follow you around the room (and not in an artsy Mona Lisa kind of way). In spite of all that, I love her. For once that year I got it–Christmas is about love–about love coming to be With Us. From before I can remember, I’ve just loved her, and that’s why I picked her. God picks us this Christmas. We are His from before we can remember. God comes to earth as Jesus specifically because he loves (your name here), regardless of if you’re good enough, regardless of how you measure up in this world, and regardless of how the world’s not picking you, God looks past the rest–straight at you and says, I’ve got dibs. And he says it in the least expected of ways . . . a manger, a virgin, a small town . . . but if I look through those pink glasses of a kid who gets it, it all makes a weird kind of grace-filled sense for a God of Who’s all about love. 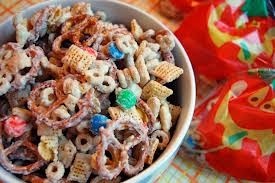 I stand next to the appetizers trying to look less awkward than I feel, as if my tiny plate of Chex Mix and roll-ups is some sort of social life preserver. Finally, a familiar set of eyes meet mine. Without their normal shine, I wonder what’s left my friend looking so tired. She confides it’s been “the week from hell.” I giggle and lean in, ready for a normal convo about work. Her raggedness is left from trudging through tragedy with a close friend. She’s spent the week swimming in the yuckiest, darkest, mire of life. Seeing how this helping left her, I wonder at the courage it takes to move toward a hurt like that . . . Grabbing coats at the end of the night, my friend’s eyes look brighter. It’s easy for me to equate God with this end-of-the-night-joy, to see God in laughter or friends swaying to good music. What’s harder is to realize that the God of Christmas, the Christ we’re waiting for this advent, is also a God who’s been, like my friend at the start of the night, entirely used up on a cross, spent from loving us. Our God sits close, His eyes puffy too, right With Us in the room that yells “run the other way:” the illness, the breakup, the suicide, the hurt that threatens to eclipse our hope. It’s a fiercely practical love, one that shows up. Come Lord Jesus . . . God With Us. We stop to say hi in the hallway, both of us twenty-weeks along, rounding bellies and smiling faces meet like a mirror, somehow a modern Mary and Elizabeth. Each time we meet, I’m surprised by how pregnant I am. It’s terrible, but with this second one, at times I even forget we’re expecting, as I chase our toddler around the house. My friend’s look is different. It’s her first; the waiting and excitement consume her. She tells me “He’s huge, almost one-and-a-half-pounds!” I grin, realizing how not-yet-huge these bellies are, but nod in agreement. I leave the conversation feeling smug in my own wisdom of experience, but later wonder, why am I not the one more memorized, realizing the glory that’s coming? As Christmas’s line up in our past, we forget, don’t sense advent’s slow urgency. We forget what it’s like to be that six-year-old loving and hating it as we eye the biggest package under the tree. All too often we screech into December in a pumpkin-pie coma, thankful but distracted by the gifts to buy and plans to make. How can we re-awaken that first-Christmas wonder? How can we remind ourselves of the glory that’s coming? Taste the anticipation like the smell of homemade bread baking in the oven? Lord, restore a childlike wonder in us, help us to wait well, like a new mother, joyful, yet almost scared at the Glory about to come and be With Us.